It's the end of Nokia as we know it. Microsoft will drop the Nokia name as soon as its take over of the Finnish smartphone maker is completed later this month, according to a leaked letter. According to the letter, the Redmond giant will rebrand Nokia as Microsoft Mobile Oy. The letter was reportedly sent to suppliers to inform them of name change so that they could continue issuing invoices without any delay. It also seeks to reassure suppliers that their business relationships will remain the same after Microsoft takes over. Details of the leaked letter were published by Nokiapoweruser. 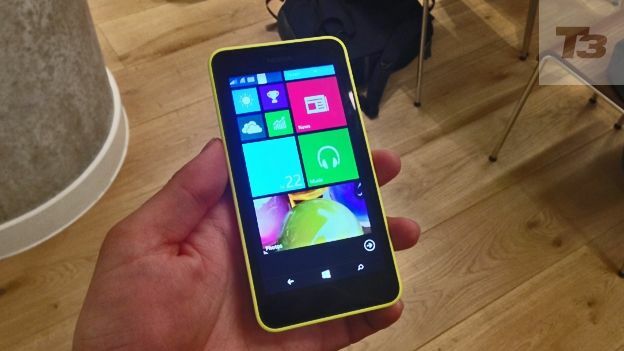 Earlier this month, Nokia unveiled the Lumia 630, Lumia 635 and Lumia 930 at Microsoft's Build conference. It is currently unclear what will happen to the Nokia and Lumia brand names on the consumer side. Both Microsoft and Nokia have previously hinted that the Nokia name at least wasn't sacred. Last October, then Nokia chief executive Stephen Elop suggested that Microsoft was considering rebranding the company and that the Nokia name would disappear – at least as far as mobiles were concerned. “What we have to decide is what the brand will be,” he said at the time. "Because we have not decided what brand will be dominant for smartphones, that's work that's still ahead. The Nokia brand won't disappear entirely. Microsoft only purchased the Finnish company's mobile and devices, and services divisions in the deal. Its networking division remained in the ownership of Nokia. Indeed, the deal stated that Microsoft was only able to licence the Nokia brand for up to ten years following its purchase. Microsoft may just be cutting its losses and seeking to strengthen the brand as soon as possible.